At the start of the year we made some predictions for the fine wine market in 2016, how true did they turn out to be? This year has seen a complete turn around for the fine wine market. After years of decline, the Liv-ex Fine Wine 100 has seen a full year of monthly gains. Bordeaux is back with a vengeance, so too Burgundy which lost market share to Italy and Champagne over the course of 2015. The fine wine market will, finally, get back to growth in 2016. Slow perhaps but palpable. Italy will increase its market share with the Super Tuscans to the fore and Piedmontese wines increasingly emerging from the shadow of their Bolgheri cousins. The ‘cult Cabs’ and other great Californian wines will flesh out their market presence and gain a greater share – by value at least. The 2015 Bordeaux vintage will be hailed as great to superb in quality but the success of the campaign is on a knife edge. 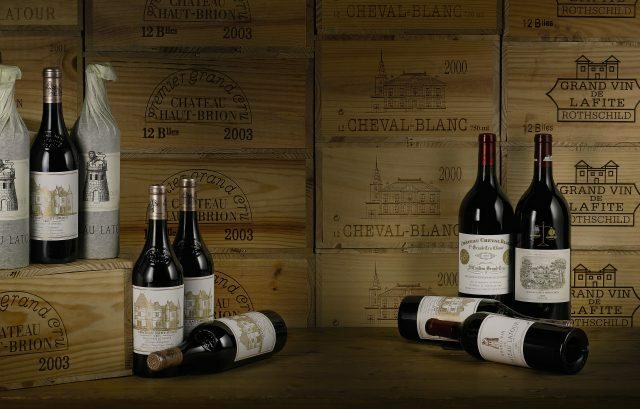 Burgundy’s prices really begin to stagnate and even fall especially on the auction circuit. The release of grand cuvée Champagnes continues with one of two consequences for the category. And did any prove true? Some, at least, came pretty close. The fine wine market did indeed get back into growth although far more successfully than might have been hoped. Italy’s market share dropped back a little, the Super Tuscans remain the most important fine wine labels and Barolo hasn’t quite shot up as thought but Giacomo Conterno was a notable new addition to this year’s Power 100 list so perhaps a sign of things to come. California’s presence in the market held steady and the struggling Rhône 100 index we tipped to go into terminal decline in fact staged something of a comeback. The 2015 en primeur campaign was a success of sorts, sales were generally higher than they had been for the 2014s but the campaign was still limited and hardly a return to the glory days. Burgundy, far from seeing a pricing collapse in fact regained its number two spot by value and other labels from the Domaine de la Romanée-Conti stable saw some of the year’s most impressive gains. Champagne vintage release did indeed go on throughout the year, the release of the 2002 Krug being a particular highlight. Like Italy, Champagne saw it market share fall slightly in 2016 but it remains far above where it was a few years ago and the constant stream of releases doesn’t appear to have had a negative effect – so far. Click through the pages for more detailed examinations of each prediction.